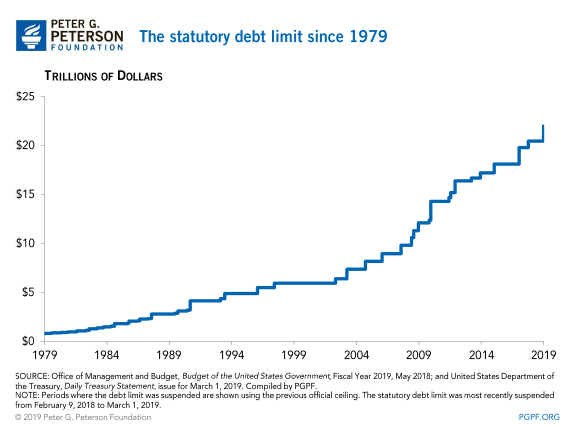 On February 9, 2018, the statutory debt limit was suspended until March 1, 2019. Beginning on March 2, the debt limit will be reinstated at the level of debt outstanding on March 1. Upon reinstatement, the Treasury Department will no longer be able to borrow additional funds under standard operating procedures. Instead, it will be forced to employ “extraordinary measures” such as suspending the daily reinvestment of Treasury securities held by the Thrift Savings Plan’s G Fund (part of the retirement system for federal employees). That and other extraordinary measures will enable the Treasury to manage the government’s finances for several months. According to the Congressional Budget Office, the Treasury will be able to fully fund the government until at least September 2019 by using extraordinary measures to supplement normal cash flows. If the debt limit is not raised or suspended before the date of exhaustion, the Treasury Department would be forced to rely solely on incoming cash flows to pay obligations, thereby risking default or delays in payments. If lawmakers do not agree on raising or suspending the debt limit before the extraordinary measures are exhausted, there could be severe consequences for both the federal government and the economy. With spending limited to incoming revenue, the federal government could be forced to delay payments to employees, contracts could be violated, and payments to beneficiaries of government programs (including Social Security and Medicare) could be delayed or reduced. Although the Treasury Department would probably continue making timely principal and interest payments on the public debt, worries about the government’s creditworthiness would likely cause interest rates to rise and increase the government’s cost of borrowing. No — raising the debt limit does not authorize new spending. Rather, raising the debt limit simply enables the Treasury Department to fund commitments that the government has already incurred under previous decisions by elected officials. To control actual spending, lawmakers must change the laws that provide funding in the first place. 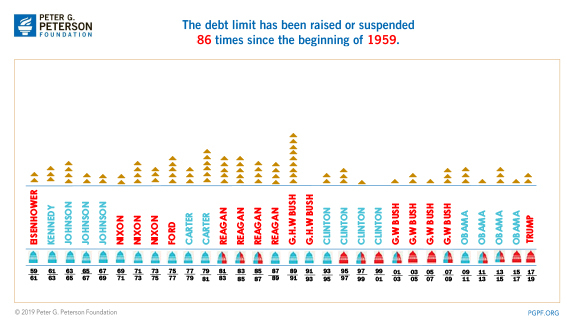 The debt limit has been raised frequently in the past — 86 times since the beginning of 1959. The debt limit has been raised by Presidents and Congresses of both parties. Stabilizing the debt is an essential part of any sound fiscal policy and economic strategy for America. Unless we make the hard decisions to close the structural imbalance between spending and revenues, federal debt will climb to unsustainable levels and put America’s economy and future prosperity at risk. Addressing our fiscal challenges is critical to ensure that America has adequate resources for investing in our future, protecting critically important programs, and creating robust economic growth and opportunity for coming generations. Governing by crisis, engaging in fiscal brinksmanship, and threatening our nation’s creditworthiness are not effective means of addressing our fiscal situation. They will only make matters worse to the extent that they harm America’s economy and creditworthiness. Instead, Congress should use the formal budget process as an opportunity to develop effective reforms that address our fiscal challenges and improve our economic outlook. 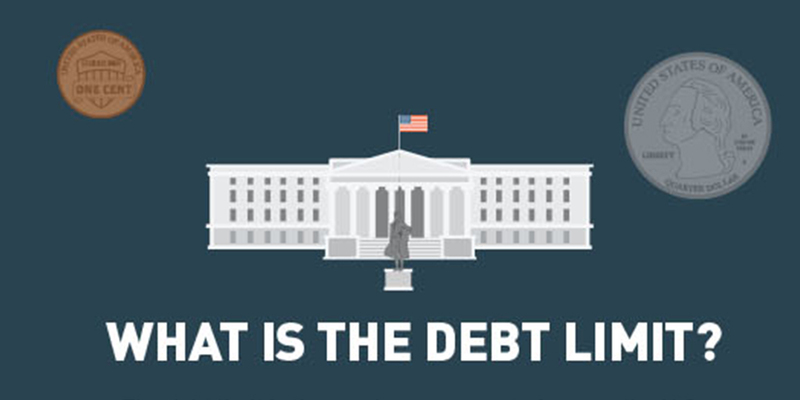 Need a quick primer on the debt ceiling, its history, and the risks? This infographic sums up the current debate in a nutshell.